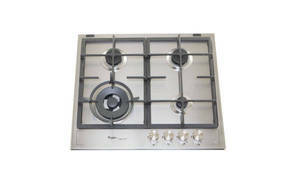 Snapshot: The Whirlpool GMF6422IXL gas cooktop has 4 burners and flame-failure protection. How well does it cook? Pan support is good on all burners.